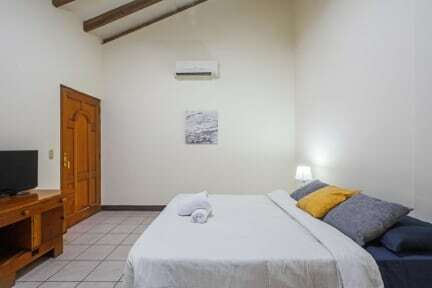 Hostal Los Octavianos is a nice, comfortable and safe hostel with spacious rooms and common areas. We a vast experience in the hospitality sector as well as a great knowledge about our city, elements that we do capitalize to bring the very best service to our guests and travellers. We are located in one of the best locations of the city, near to some of the finest and most renowned landmarks and attractions of the area such as Casa Natal Sor Maria Romero, Casa De Los Tres Mundos, Visual Pacific and ChocoMuseo Granada Nicaragua, amongst other interesting spots of our city. 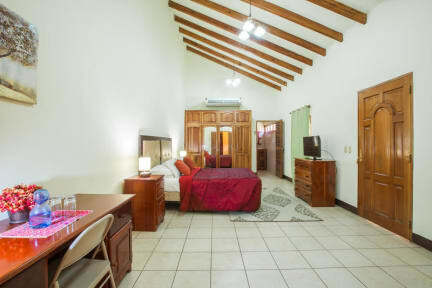 We have big rooms with comfortable beds and bathroom, air conditioning or fan, cable TV, wifi in all the property, common areas for breakfast, reading books or watching TV if you want to relax in our living room. We have a 24 hour reception and include free breakfast for all our rooms.